Need a party idea? 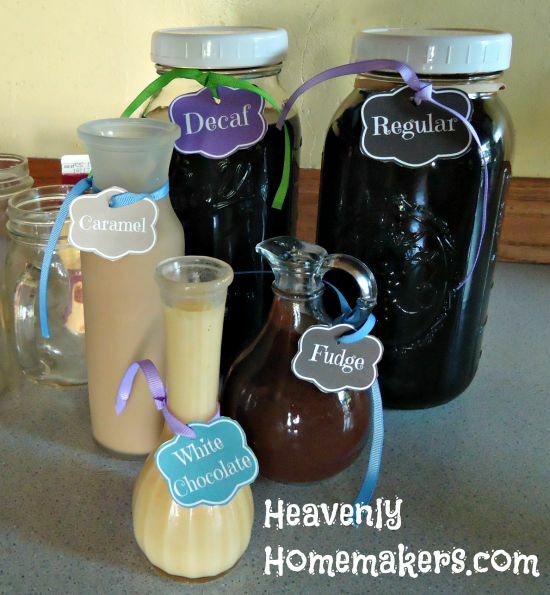 Set up an Iced Coffee Bar! Monday was my birthday. (Yay, 42!) Since most of my favorite peeps (aka three outa four of my boys) were still at church camp and thus not home to help me celebrate – we instead invited a few friends over. It was such a blessed time. Not planned or appreciated is the fact that our grill chose to die at the very moment we were ready to begin cooking our meat (for 13 hungry people). I mean the grill didn’t just die. It also became very dead. So, so dead. I am loved and richly blessed by these dear people. 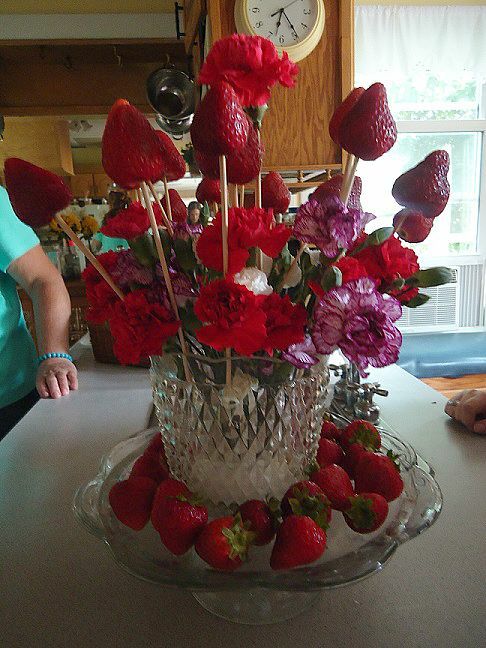 Yes, the White Chocolate and the Caramel are in vases. What a great way to re-purpose those, don’t ya think? I brewed/chilled coffee and made coffee ice cubes all day in preparation. I made sweet sauces. I had absolutely wayyyyy too much fun. And then during the party? Let me just say that you must do this sometime. It was a blast seeing what people put together. Some drinks got blended. Some used ice cream. Some mixed all three sauces. Some made fun of me for having to drink decaf. Hey, I wanted to sleep after my party, okay? Caffeine can’t happen after 5pm for this (very young) 42 year old. Explain the options to your guests, then let them have at it. It was so much fun to see what people came up with for their special drink. We all took turns building our concoction, then we all stood around sipping and saying “yum” over and over while talking and laughing. Bliss. 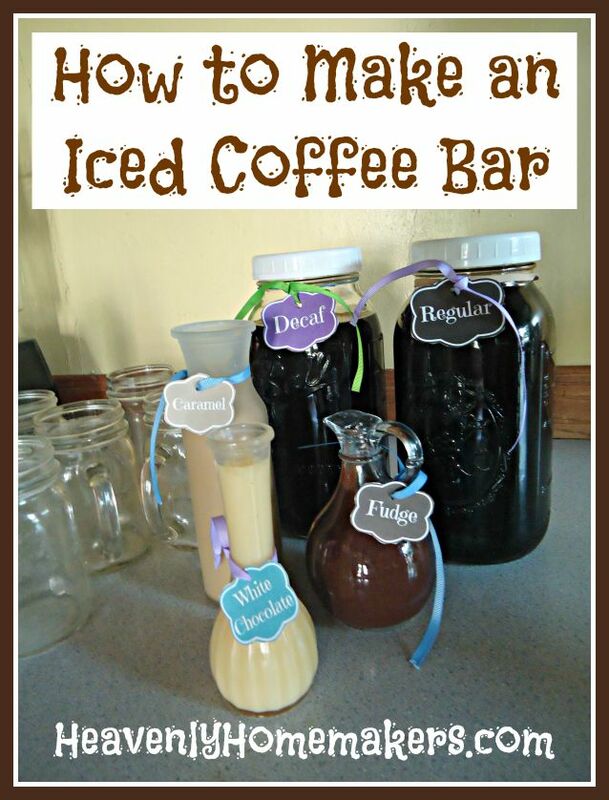 This Iced Coffee Bar is going to be my new go-to idea for special gatherings. 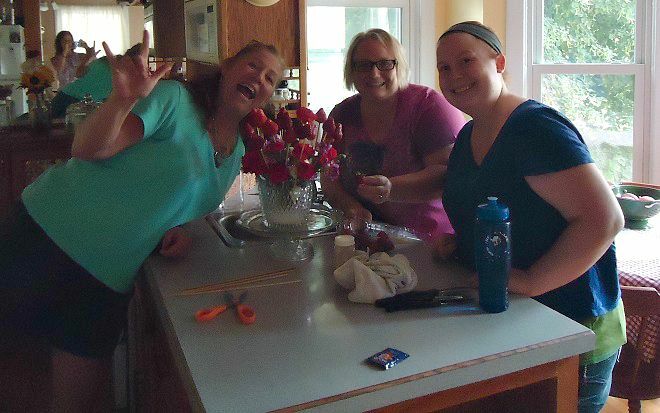 Come winter, we’ll just switch it to a Hot Coffee Bar with fun fixin’s. Do this!!! It is so much fun! 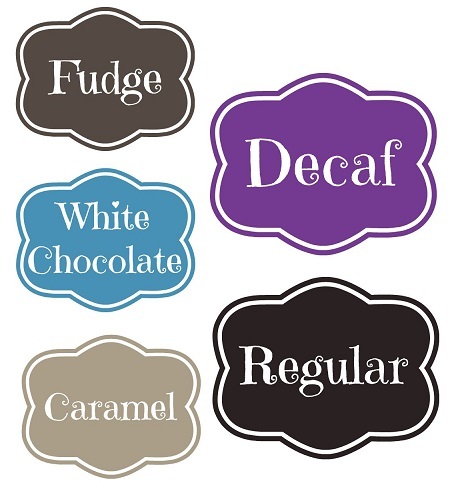 Want to borrow my Coffee Bar Labels? These made it easy for guests and added cuteness to the fun. What else can you think of to add to this Iced (or hot) Coffee Bar? P.S. If you are in my local Bunco group, you are not allowed to use this idea until after I host, mmkay? Happy Birthday Laura! 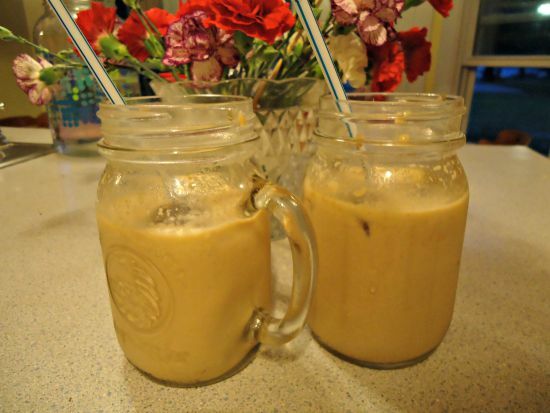 Whipped cream, cocoa powder, and cinnamon would be great to top off iced or hot coffee. If you really want to go crazy fancy, I suppose shaved chocolate or sprinkles would be good. Thank you for all the wonderful content you post on your website. I look forward to many more years of great recipes, funny stories, and Gratituesdays! Happy birthday, young lady! I’ve been on an iced coffee kick lately as well. I agree with the suggestion to add whipped cream and would also add vanilla sugar for another layer of flavor. I also agree with decaf after 5 pm. happy belated birthday! this is SUCH a good idea-I may implement this for our housewarming brunch party! I can’t wait for the white chocolate sauce recipe! Most white chocolate I find is full of yucky ingredients. Happy Birthday Laura! I celebrated my 41st this past Wednesday so Woo Hoo for early August birthdays! Glad you were able to spend time with friends and as always, thanks so much for all you do and share with us!! What a super fun idea. And I love the idea about using vases. So cute. Have a super blessed 42nd year! Happy (belated) birthday.